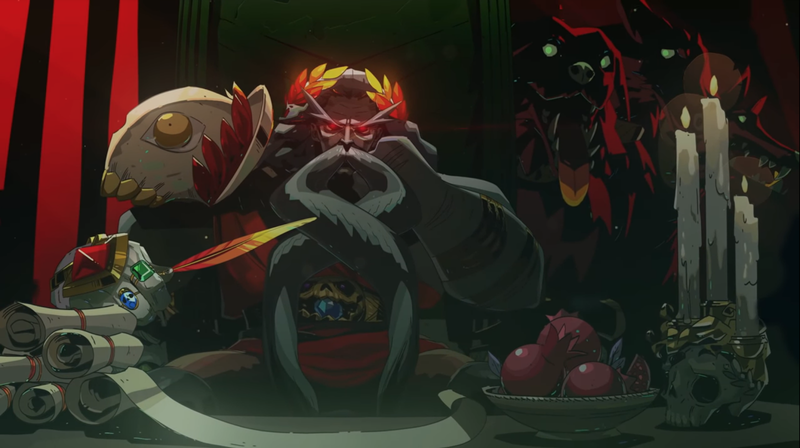 Hades, a new action game from Supergiant Games, released in early access last night in the new Epic Games store. It’s pretty limited right now, but even with only a handful of weapons and levels it’s got me extremely excited. Being trapped in Hell and dying over and over has never been so fun. 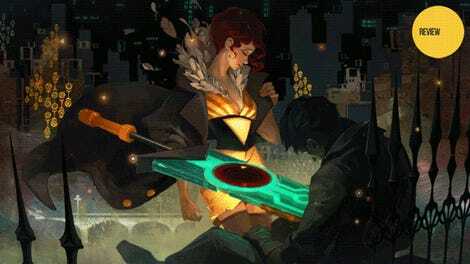 Hades is a bit of change for Supergiant Games, creators of action-heavy RPGs like Bastion and Transistor. Those games were tight single-player narrative experiences where somber narrative beats were punctuated by experimental RPG action. In contrast, Hades is a rogue-lite. That might be a disappointment to players burned out by the genre or eager for a more story-heavy experience, but Hades works. You play as Zagreus, prince of the Underworld, as he attempt to escape the realm and his negligent father Hades. Gameplay is the familiar rogue-lite structure: The path through Hades changes each time you play, and you acquire different items and powers from Olympian gods as you progress. If you die, you resurrect and have to start all over. It’s nothing new, but Hades feels fantastic to play. This was one of my first runs. I was taken in by how good combat felt, and it only got better later. The game understand the joy of a speedy dodge, where a single button press can turn you into a flash-stepping bullet. You can spam powerful attacks, but you have to think about how long their animations will leave you vulnerable. Hades seems simple at first glance but reveals more and more ingenuity as you gain power and play longer. When I started, I had a simple sword that I upgraded with the ability to bat enemy projectiles back at their creators. It turned my entire run into a tense form of fantasy baseball, with dodges merging into fireball-deflecting slashes. Eventually, I unlocked the Shield of Chaos, a simple weapon that hides a surprising amount of combat options. In one room, I was able to hold up my shield and let enemy skulls crash into it. I cleared the room while standing in place. In another room, where enemies had more health, I had to charge powerful dashes and throw the shield so it ricocheted off walls. Each room held a new challenge and the ability to find creative solutions. All of this comes paired with Supergiant’s signature flourishes. Like all of their previous games, Hades has a fantastic soundtrack. Composer Darren Korb’s music colors every fight with a sly energy. There’s also plenty of characters to meet. You’ll buy items from Charon, take training advice from Achilles, hear Ares’ praise, and endure the chatterings of a highly energetic Hypnos. Each character feels more real and natural. The voice performances infuse the world with believably in spite of the game’s fantasy setting. There’s not a great deal of meat on Hades’ bones yet. A full run through the first available area only consists of 27 rooms, but they’re great to fight through. The early access will expand to add more weapons, characters, and areas. I can see Hades growing from something good into something great.